The Universe came through for me in a big, big way last Friday. See that hot 'n' spicy Kitchenaid mixer above? There's one blog that I read every single day. The Pioneer Woman. I love her. She's funny. She has good stories. She has good recipes, but I am avoiding them like the plague right now. (She likes to use butter a lot.) She has awesome giveaways. 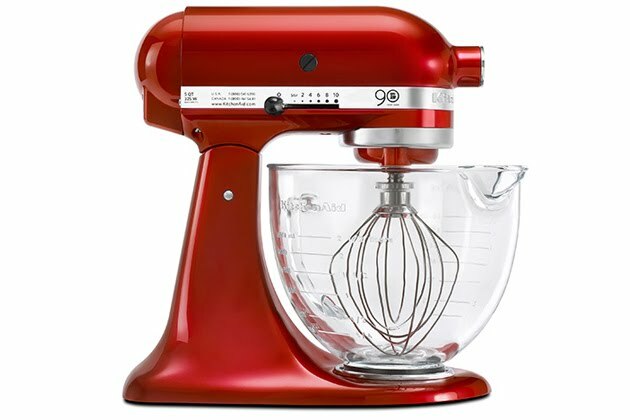 She is giving me this mixer. It is my new reason for living. I wonder if I'll have to claim it on my taxes next year. She doesn't know it, but Ree and I are best friends. I was pretty disappointed that it wasn't she who responded when I emailed to claim my prize. Sorely disappointed. I guess I'll have to wait in a long line at her next book-signing to get some reciprocity. If you want a preview of her new book, you should check out the Black Heels topic in the Confessions section of her blog. Make sure you've got 207 hours first, though. It'll hook ya. If you can't tell from visiting her blog, she's somewhat of an inspiration for this one. So, if you haven't read The Pioneer Woman before, do it now and commit to it for life (it won't be hard). 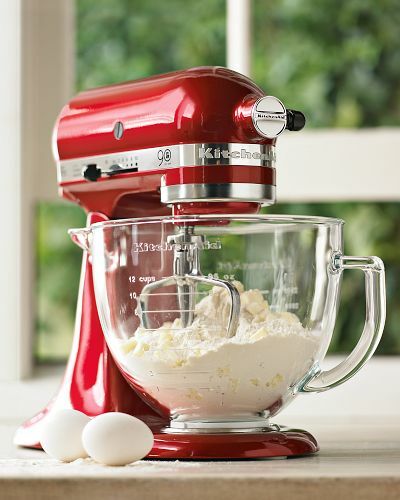 This mixer is Kitchenaid's 90th anniversary edition. It's been around for a year, and now it's about to be discontinued. I'm so glad I won it in the nick of time! My favorite part (as I've already told anyone who will listen) is the glass bowl. My secret reason for loving this is the fact that my unborn children will absolutely love being able to see the ingredients as they are being mixed. I can just picture their captivation. I've already cleared a spot on my counter. I might even have The Stallion install an accent light. We'll see. But more importantly than where this beauty will sit is what I will first make with it. I'm having a really hard time deciding. Some sort of custard is up there, for the mere fact that it's really hard to temper eggs when you've got one hand stirring and the other hand slowly pouring. The bowl goes all over the place. What about a recipe that requires a lot of beating? Or is just so unbelievably good that no other recipe can be the inaugural dish in this brand spankin' new mixer? For the record, coworkers of mine and/or The Stallion, rejoice! For none of these goods will be staying in our household. What do you suggest I make first?